Enchanted Excurse: Which Faction Do You Belong To? Which Faction Do You Belong To? Afternoon Loverlies! 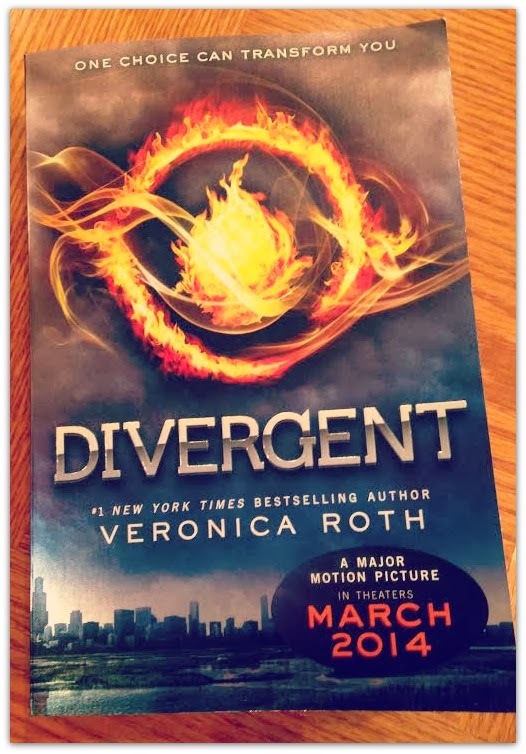 Divergent by Veronica Roth is a dystopian book, I love it! Sometimes I have weird/sad feelings after these books and movies because it scares me to think, what if this did happen. It just seems the world is so easily unstable. That these ideas that are made up could actually be true someday. I get so paranoid sometimes. I enjoyed reading this book though. 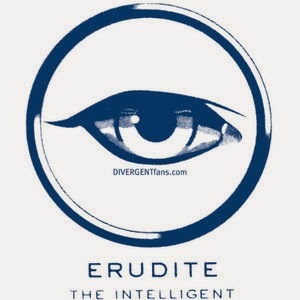 Divergent is about a girl named Beatrice who is born into abnegate family. 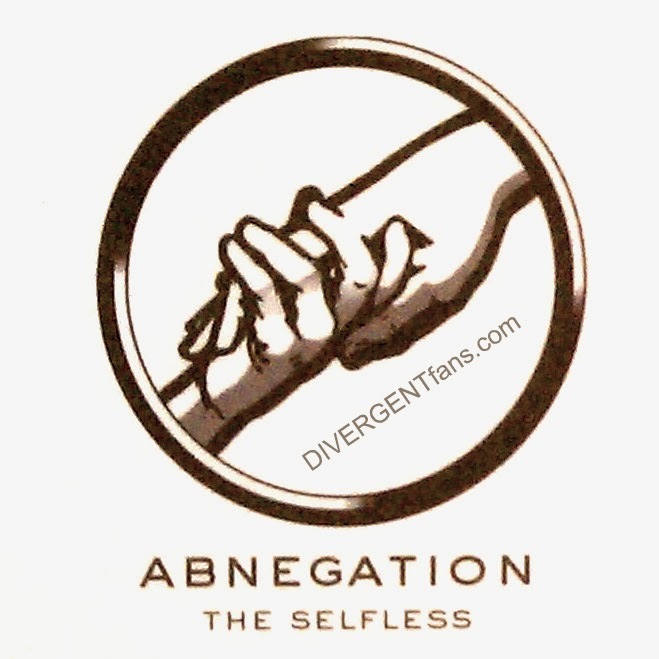 There are five factions you can choose to belong to. 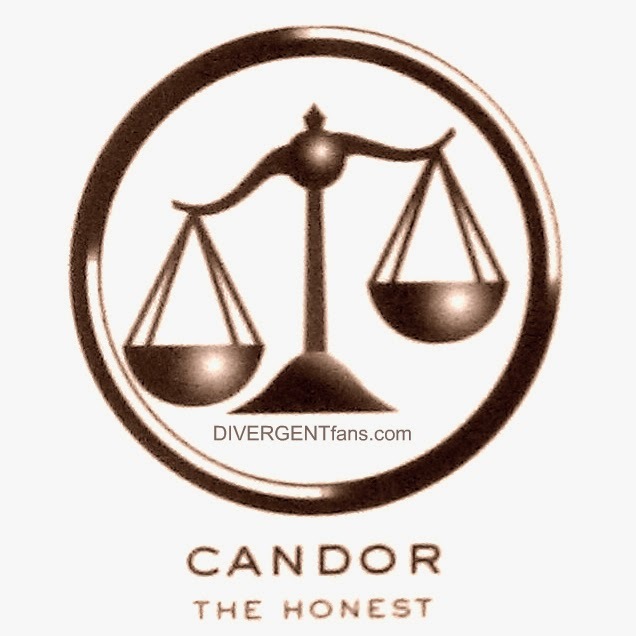 Abnegation are your selfless, Erudite are your knowledge seekers, Amity are your happy folks, Candor are your folks who can never tell lies, and Dauntless are your risk takers they guard the city. Each faction wears certain colors and have certain traditions and ways they act. An example for Abnegate, they can only look at themselves in the mirror every there months. Dauntless can have tattoos and piercings. 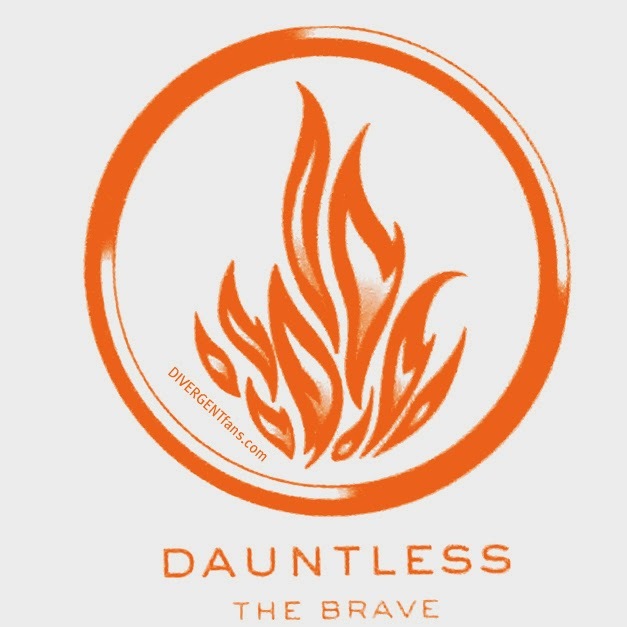 Each faction also has their own symbols. (I will post them below) Whenever they turn 16 they have to go through an aptitude test where they are injected with a simulation serum. The instructor and the student share little connection wires attached to their heads. This way the instructor can think of tests to put that student through. Each student normally has the same test. When comes Beatrices' turn the instructor has to change the test a little bit because Beatrice is something a little bit different then the other students. After the simulation test they have to go to a choosing ceremony where that student can choose either their old faction or another choice that the simulation test helps decide. You will just have to read the book to find out what choice Beatrice takes. It's worth the read. I need the second book now, so I can find out what happens next of course. I wonder how the movie is going to be set up. Hopefully the first book is the first movie the second book the second movie, etc. What was neat about the book I bought, it had bonus questions and answers, a playlist of what songs the author either listened to whilst writing or what songs she though fit which scene. There was also the mission statements for each faction. One thing that was very neat was a quiz to see which faction you would belong to. 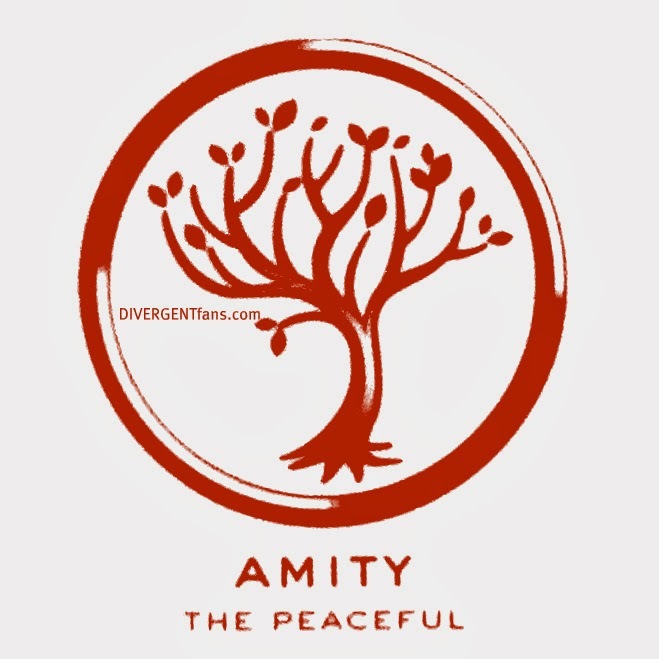 I got Amity, they are the peaceful, happy, musicians group. It fits I do love music and arts. I also like peace between folks, I don't enjoy conflict at all. Now go grab your copy and read! Ta Ta for now! Thank you for commenting! I get excited when folks do! lol And I shall take a gander at those kane chronicles. lol Sounds very interesting just by the title!